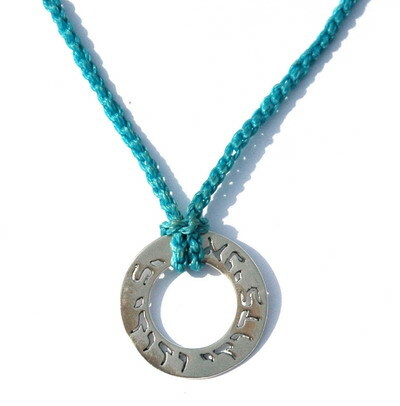 It’s time for romance - a sterling silver Ani L'dodi Pendant on a woven cotton string. The strings are available in three colors: black, red and turquoise. Waxed legend. 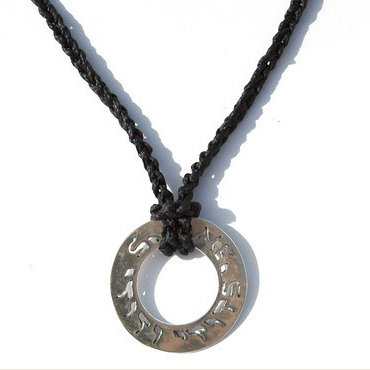 Choose a popular Hebrew Inscription or add a personalized one above. “I am to my beloved and my beloved to me” – those poetic words that inspired King Solomon are still vibrating in full power up until this very day and make a romantic gift to your beloved one. This Ani L'dodi pendant hung from a simple cotton woven string gives it the special look of something humble and natural looking. 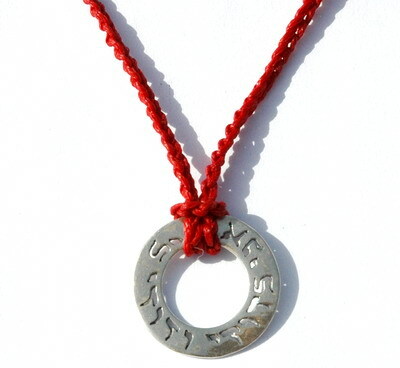 Made by Israeli jewelry designer Emuna.